The option to add multiple eBay accounts is open for users with Seller plan (600+ items) or any plan above. 1. In order to manage multiple acounts, first you need to own multiple eBay accounts. 2. For the additional eBay account, create an additional DSM account with a different email address than the one you registered your main DSM account with. Tip: If you already have active listings in the second eBay account, there is no need to import them to the new DSM account. It is better to import them after linking the two DSM accounts. 4. Return to the main DSM account, if needed, upgrade it to a Seller plan or any plan above. Then click the ” Account Settings ” from any page in the site. 7. 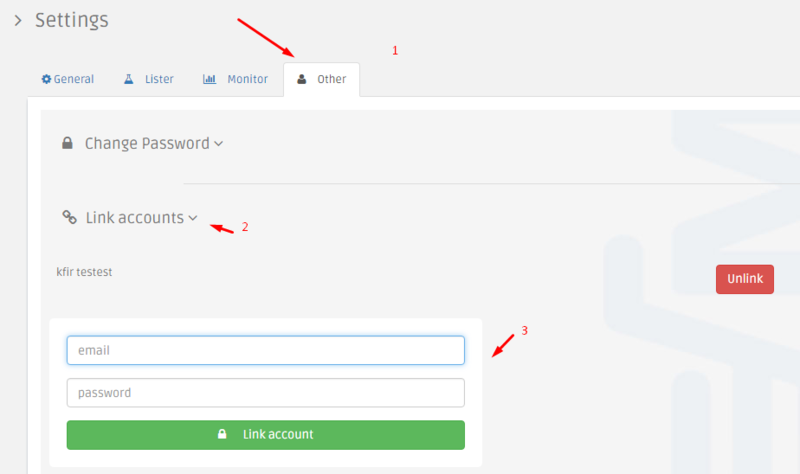 Enter the username and password of the second DSM account you have created in step 2. 8. Now, you will be able to see in the top menu a “Change Account” button. you can select the other DSM account that is linked to the second eBay account by clicking on it. Note: Auto order credit purchased in the main account will be shared between all the Linked accounts.